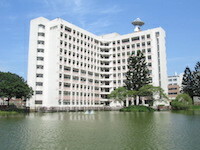 A classroom, S4-805-1, was provided by Prof. Huey-Ching Yeh to host core facilities in Graduate Institute of Space Science, National Central University. After five-year expansion, the room was insufficient to accommodate follow-up equipment. Another classroom, S4-820, was then assigned by Prof. Chien-Ming Huang to host learning facilities to allow student practices.